We are delighted to be exhibiting our Honeywell Morley-IAS Products at this years Security Show in Southampton on the 20th September 2018. Make a note to pay Morley-IAS a visit at the ADI Expo, Twickenham Stadium on Thursday 22nd March 2018. We are excited to be launching a new telephone system on Friday 9th February 2018, for UK customers only. 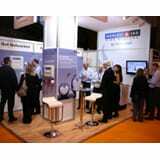 Make a note to visit us at the FIM expo - Madejski Stadium, Reading on 5th April. Make a note to pay Morley-IAS a visit at the ADI Expo, Twickenham Stadium on Thursday 2nd March 2017. 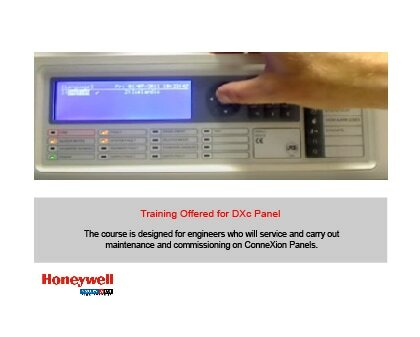 Learn how the DXc from Morley-IAS make life simpler in our new series of videos. Morley-IAS by Honeywell is pleased to announce the release of the new EN54-4 Approved Power Supply Units (PSUs). Get to know your DXc 1.17! How well do you know your DXc? Download our interactive support tool and uncover facts about the our most flexible panel range. Morley-IAS InfoPoint App... Now available for Android! We are delighted to announce that Jon Gallagher has joined the growing Morley-IAS team to manage our South West customers. I am sure that it will only be a matter of time before you meet Jon. The annual cost of attending them is estimated to be up to £1bn. The pressure to significantly reduce the number of false alarms – and the government’s spending on them – is high. Our revolutionary aspirating system is now available through Morley-IAS. Good luck and happy retirement, Dennis. 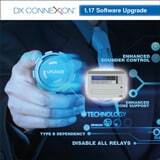 This 1.17 update includes many new features which not only enhances the system but also improves the capability of the DXc family. Making the product not only, easier to use, install and commission, but also allowing you to support larger sites. ‘Disable All Relays’ - this allows all relay outputs to be disabled during servicing through the menu structure or directly through the use of the F1 or F2 function keys. Increased zonal capacity to 160 zones and a mimic which allows a geographic ‘floor map’ with zonal indicators to be built for situations where increased clarity of the fire location is required. Please contact your Business Manager for more information. This enables us to provide you with the most up to date information at any one time. Tony Green, National Business Manager UK & Ireland, has almost 25 years of experience within the Honeywell Business. He strongly believes that there is far greater breadth and choice of product in our range today reflecting the changing needs of our Customers. Ben Fothergill, North and Scotland Business Manager, has been within the fire industry for thirteen years. His expertise and knowledge enables him to support customers at all levels within the fire detection business. As technology advances at an increasing pace, we are all becoming used to being part of an ever-more connected world. 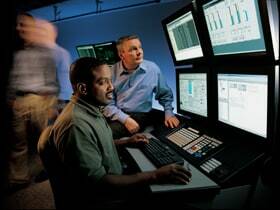 Yet while the use of centrally-controlled CCTV and intruder alarm systems in commercial buildings is both well-established and accepted, such remote management has not typically extended to fire alarm systems. However, this offers an important additional benefit in ensuring that employees and visitors have a safer place to work, wherever they are on the site. The use of IT within building services is becoming a vital part in all areas from project design to delivery and performance level monitoring. Keith Minster addresses this in Novembers H&V News. Keith Minster discusses the importance of regular service and maintenance in order to minimise the potential for false alarms from fire systems. Morley-IAS is pleased to announce the launch of a new range of EN54-4 approved Power Supply Units and Transformer Rectifiers. Morley-IAS continues to strengthen its extensive portfolio of innovative technology by launching its first range of paging systems. Morley-IAS is pleased to announce the release of the new Emergency Assist alarm range, the expansion of our current EVCS portfolio plus new pricing. Following the successful release of our Voice Alarm product range we have enhanced the offering. Now with a comprehensive range of ceiling, wall mounted, horn and sound projector speakers approved to BS EN54- part 24. Over the last few years we've been making some changes to the way we work to ensure a better future. 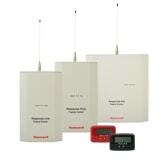 Morley-IAS by Honeywell demonstrate extensive new product range. Richard Paine will be handling product development and strategy for Morley-IAS fire panels and related technologies. Business Manager, Keith Minster looks at the different aspects to consider when installing fire alarm equipment in an education environment. Join us in welcoming Willie McLeod to Morley-IAS! As part of the NEW DX Connexion Launch in the UK, we ran a crossword competition to win an iPhone 5. The new DX Connexion range of networkable, multi-protocol, analogue fire alarm control panels was launched at the beginning of October to great ceremony and success. Morley-IAS Pleased to Announce New Range of Air Sampling Smoke Detection Devices. Plus, we are offering 4 FREE training webinar sessions to learn more about the products. How simple is it to install the NEW DX Connexion? Watch here! 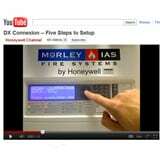 Visit YouTube and see for yourself how simple it is to install the NEW DX Connexion panel from Morley-IAS. 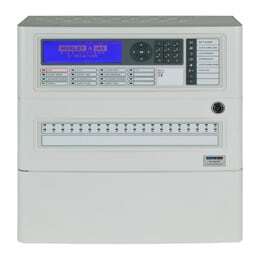 Latest Morley-IAS by Honeywell fire alarm control panel leads the field with new modern look, ease of use and faster installation. 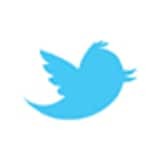 Follow us now for industry news, events and insight. Read Keith Minster's article in International Fire Protection magazine which includes details of the Beacon Centre for the Blind installation. The June edition of Electrical Contracting News highlights the benefits of the soon-to-be-released DX Connexion panel which was showcased at the recent IFSEC event in Birmingham. A growing trend in today's economy, this article looks at refurbishment of existing fire alarm systems in public buildings. 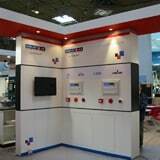 Morley-IAS by Honeywell showcased their new DX Connexion panel at the International Fire & Security Exhibition held at the NEC in Birmingham last week. The Morley-IAS by Honeywell Sales Team completed the last of the ten ADI-Gardiner CPD road shows recently, finishing the month-long event in Newport. Coverage of the Morley-IAS fire detection equipment recently installed at Heinz baby food factory. Morley-IAS are proud to be participating in the ADI CPD Seminars and Tradeshow Tour throughout March. 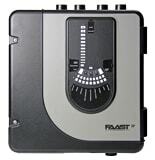 Products profiled in leading publication's Fire Alarm Panel Buyers Guide. Keith Minster, UK & I Business Manager, writes for Secure Times. Morley showcased the fantastic DX Connexion panel at Firex North, Manchester 27-28th October. Previewing the forthcoming multi-protocol analogue panel. Popular Manchester venue receives successful and efficient fire alarm system switch over whilst still maintaining full availability of site. Get a preview of our soon to be released, new multi-protocol, analogue fire control panel on 22nd September. We will also be showcasing the ZX range and Visualeyez graphics package. The Morley-IAS team will be calling into ADI-Gardiner stores throughout the year to talk through product queries and plans for the future. If you have a question for Morley-IAS, here's your chance. The Morley-IAS team will be calling into ADI-Gardiner branches throughout the year to talk through product queries and plans for the future. If you have a question for Morley-IAS, here's your chance to ask it face-to-face. The article covers the three main panels in the Morley range, the Horizon, the Dimension and the ZX ranges. Morley-IAS have commissioned a customer satisfaction survey with FDS Market Research. This will be taking place over the next few days and it only takes a few minutes to complete. If you do receive one of these calls we would greatly appreciate your feedback. When choosing a fire safety solution, cost should not be the top consideration, warns Lee James of Morley-IAS by Honeywell. Come and Visit Morley-IAS at Firex South! 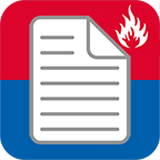 Firex South is a key event in the Fire Safety calendar, providing information on the products and the services that are leading the industry. Morley-IAS by Honeywell Roadshow a Success! The Morley-IAS Roadshow went ahead successfully with a great reception from all involved. This presentation discusses the additional standards installers are required to meet when designing and maintaining a fire safety system for an NHS premises. Focusing on legislation and design philosophy this is essential knowledge for those intending to install systems in NHS premises. The range of CPD seminars available from Morley-IAS continues to grow. The latest in a series of presentations, entitled "A Guideline for Designers on the Use of VA-PA Systems", recently received CPD accreditation. Back in April a series four roadshow events was held around the country for Morley-IAS customers. We are pleased to invite you to join us for a day of hands-on sessions aimed at helping you get the most from our products. And be one of the first to see prototypes of the New Panel from Morley-IAS by Honeywell. Please take some time to browse our new site which has been developed with our customers needs in mind. We would welcome your feedback on how we can continue to improve the site. Morley-IAS Fire Systems carried out extensive compatibility testing, planned and monitored by M & E Consultants Service Design Associates, with the three different types of installed system. Following the satisfactory completion of the tests, the University's Project Manager, David Livingstone, chose the ZX range of intelligent control panels as the new platform. The new Horizon range of conventional fire control panels from Morley-IAS provides installers with the same "out the box, on the wall" benefits found in the company's addressable panels, while for users, the units incorporate many advanced features normally only found in larger systems. 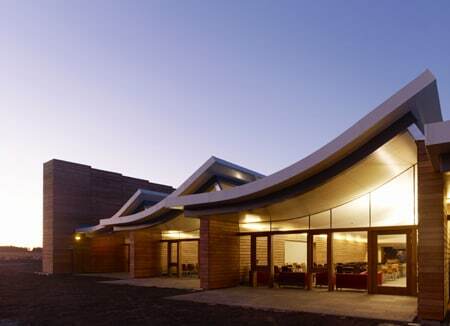 The Morley-IAS distributor in Egypt, Heliotech, has won the contract to provide the fire protection systems for the latest round of antiquity warehouse construction, installing the new Dimension series 2-loop and 4-loop addressable fire panels to give 21st century protection to 6000 year old treasures.